I love this quick salad! It’s a great option to stick to a healthy meal when you are on the go, or just don’t feel like cooking. It literally takes few minutes to put together and not only it tastes great, but it’s packed with vitamins and fibers too. 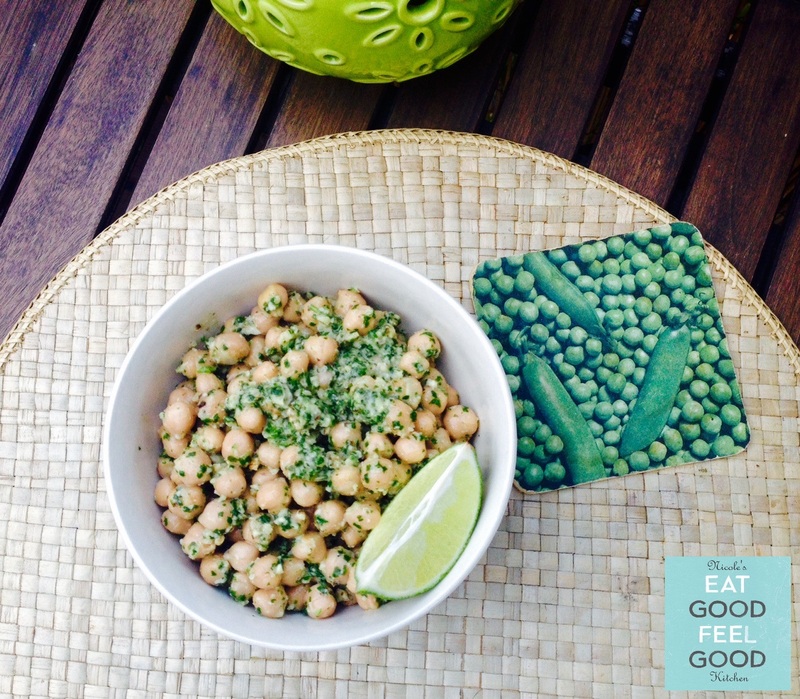 Did you know there is now direct evidence between garbanzo beans and appetite? 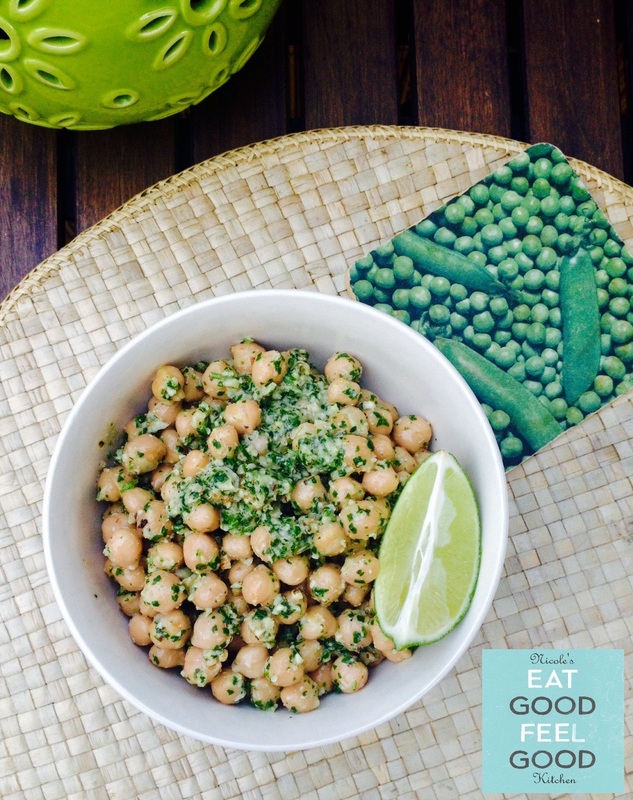 A recent study showed participants that included garbanzo beans in their diet reported more satisfaction, consumed fewer processed food snacks, and overall ate less, beating unwanted cravings. I am a big fan. Drain and rinse the beans. 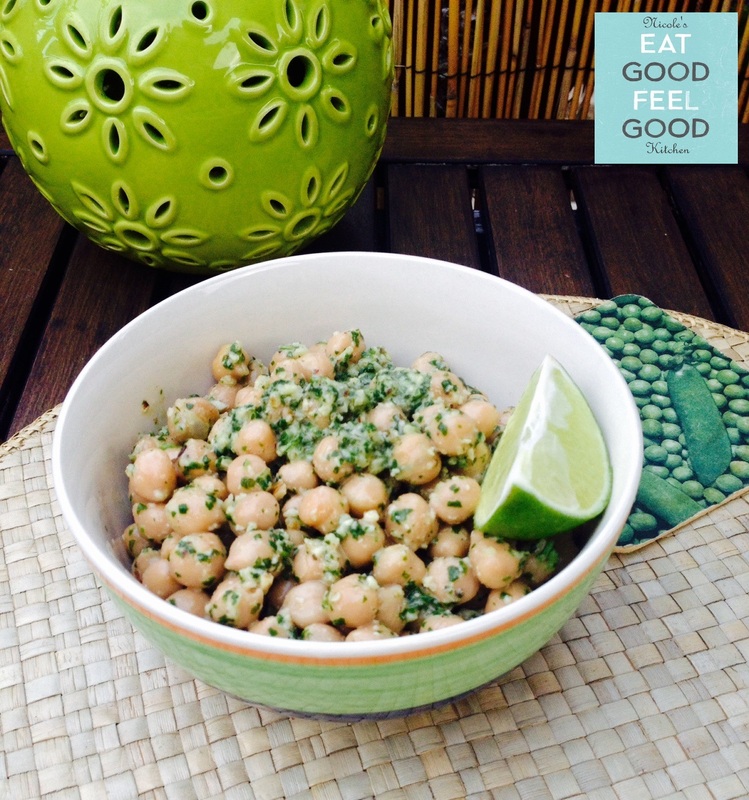 Chop the garlic, cilantro and combine everything in a small bowl. Dress with olive oil and squeeze the lime on top. Adjust salt & pepper to taste. 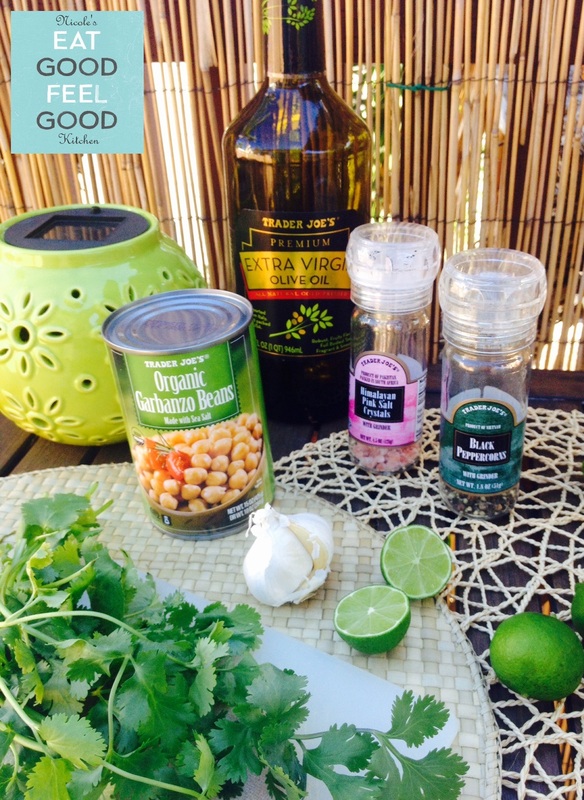 Posted on November 7, 2015 November 11, 2015 by nicoleEGFGPosted in RecipesTagged Chickpeas, Clean Eating, Dairy Free, Delicious, Easy, Eat Good Feel Good, EGFG, Food Coach, Garbanzo Beans, Gluten Free, Grain Free, Healthy Living, Healthy Option, High Fiber, Low Fat, Personal Chef, Quick Recipes, Salad, Vegan, Vegetarian.